This week’s challenge is all about speed, yet the game is a kickball/football hybrid, which seems more about impact. We pick up right where we left off… time to vote for elimination! 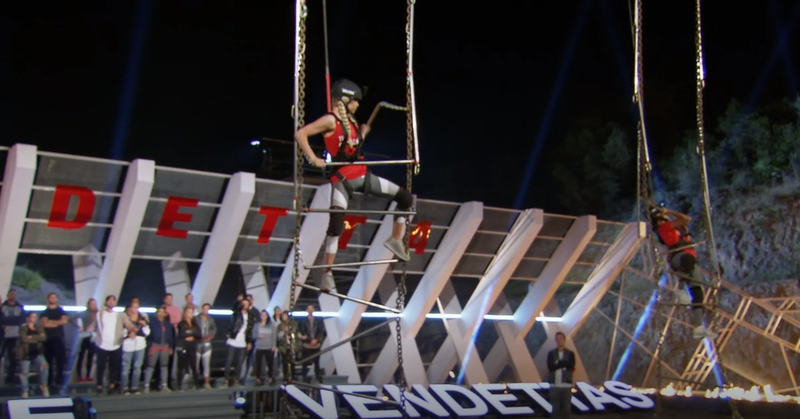 One episode before the finale, it’s time to determine who will compete in next week’s final. Love and kissing points are in the air in the shelter! The finale and season concludes. Devin & Cheyenne figured out how to get along: a mutual dislike of the Banana family. Devin & Cheyenne are the luckiest rivals in the world.